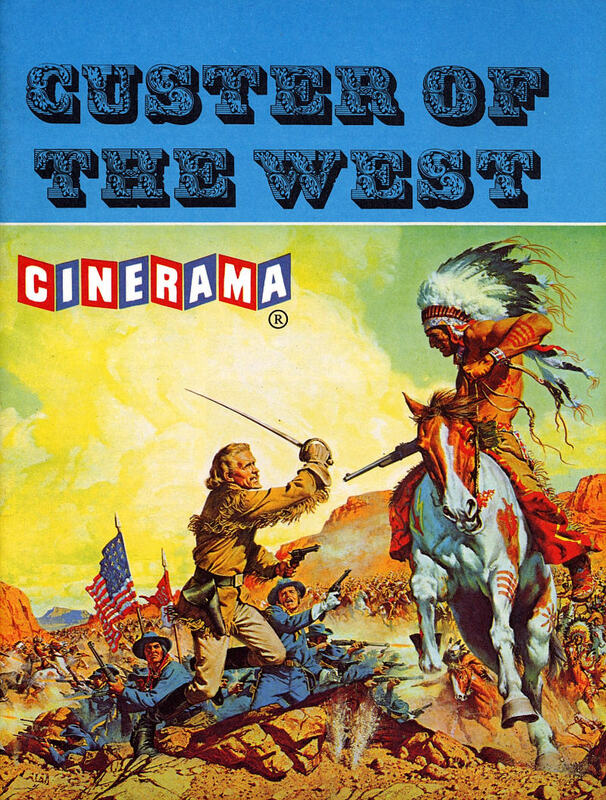 CUSTER OF THE WEST manages, over a disjointed and laborious 143 minutes, to insult everyone. Robert Siodmak was a director with skill, absolutely none of which he brought to this career nadir. 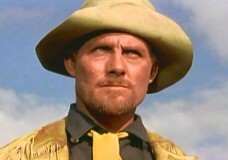 The lifeless screenplay ignores the complexity of Custer, writing him up in a ham-fisted, totally hogwash manner, which lets Robert Shaw do little besides glower. He looks the part close enough, but nothing like charisma works past the glares and harsh barks. It’s not pretty. Shaw’s wife, Scottish actress Mary Ure, plays Elizabeth Custer with scant grasp, though obviously not helped by script or direction, which also waste co-stars Jeffrey Hunter, Ty Hardin and Robert Ryan. The editing is terrible, the production cuts corners everywhere so even when there’s a crowd scene it looks cheap; the props, costumes and sound effects are off-base, the music score is jarring. Arid Spanish locations scream “wrong!” Stunt gimmicks of a runaway train and a ride down a log plume (shot in Sweden, yet), designed for Cinerama, come off pointless. Gobs of Spanish extras pretend to be soldiers, settlers and Cheyennes; it would be more authentically convincing if they were played by Martians. The finale, the big-mop up at the Little Big Horn, is hands-down the worst version of that dramatic slaughter ever done, catastrophic in its falseness. The Sioux are dissed, because they’re not even on-screen, since the script leaves Sitting Bull and Crazy Horse out of the story and turns everything over to the Cheyenne. They were there at the battle, but secondary to the more numerous Sioux, and Dull Knife, leading the extras here (played like a chunk of wood by Kieron Moore) was not present. Custer/Shaw’s last stand is beyond absurd. 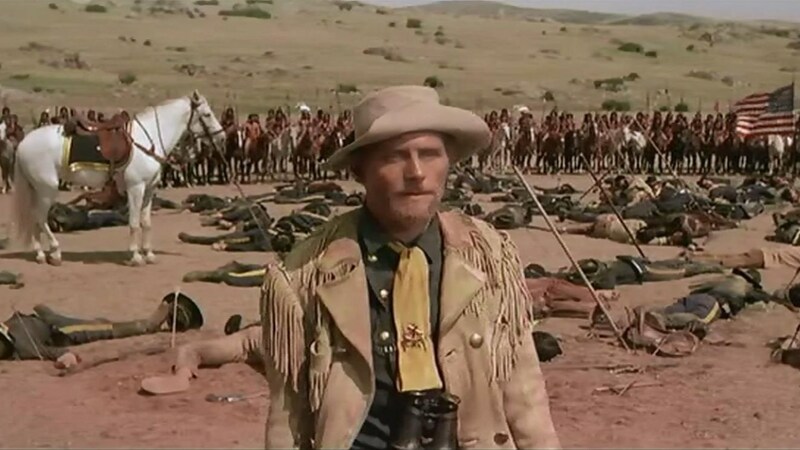 Sprung on the audience in 1968, the $4,000,000 charge died on arrival, its US take of $1,600,000 buried at spot #101 for grosses, securing two claims for posterity: it’s the lousiest movie about George Armstrong Custer and it’s a good candidate for worst big western of the decade, any decade. The only counted coup of the whole massacre is the retro-cool poster art for the ad campaign. With Lawrence Tierney, Marc Lawrence.